Lily Monica Donaldson is a British model. 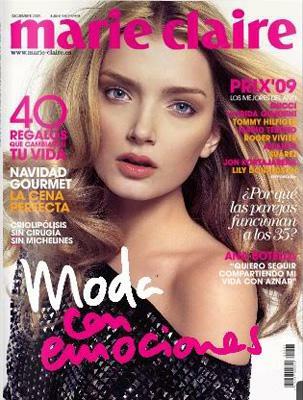 Lily Donaldson was born in London, and educated at the Camden School for Girls living in Kentish Town with her parents. Since being scouted at the age of 16 while shopping in Camden, Lily Donaldson has landed campaigns for fashion houses such as Dior, Jil Sander, and Dolce & Gabbana, and is the face of British luxury goods house Burberry. "One of the most expensive looking girls, yet a frail beauty at the same time. Beautiful skin, baby eyes, and pouty lips. A real English rose, but there's a sexpot underneath all of that waiting to be unleashed. She's also more guarded than the other girls, which throws people off, but it makes me super gushy and nervous like a schoolboy. I could totally see her married to a rock star!" Lily Donaldson has appeared on the covers of Vogue for Britain, Italy, China, and Australia. 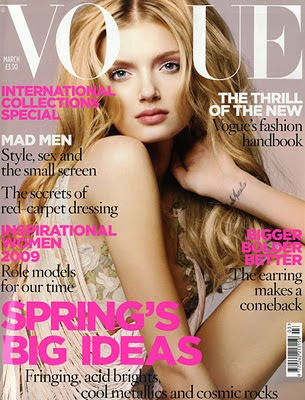 In particular, she was on the March 2009 covers of Vogue simultaneously in the United Kingdom, Australia, and Italy. She also appeared in the Victoria's Secret Fashion Show in 2010. In 2009, French Vogue declared her one of the top 30 models from the years 2000 to 2009. Lily Donaldson is also the face of the new Monsoon Accessorize campaign for Spring Summer 2011. Lily is close friends with model Gemma Ward which we featured several weeks ago in a related article. ZARZAR MODELS is one of the top modeling agencies for women in San Diego, Los Angeles, and Beverly Hills representing females in print editorials, high fashion runway, film, television commercials, and promotions. The agency has as partners fashion modeling agencies in major fashion cities such as San Francisco, Miami, New York, London, Paris, Milan, and Sao Paulo Brazil and recruits and represents models throughout the world through its global fashion and modeling network.